Flat World Navigation is an indispensable text for aspiring entrepreneurs. To ignore the unceasing democratization of digital technology, information, and capital is to slowly render yourself and your business model obsolete. 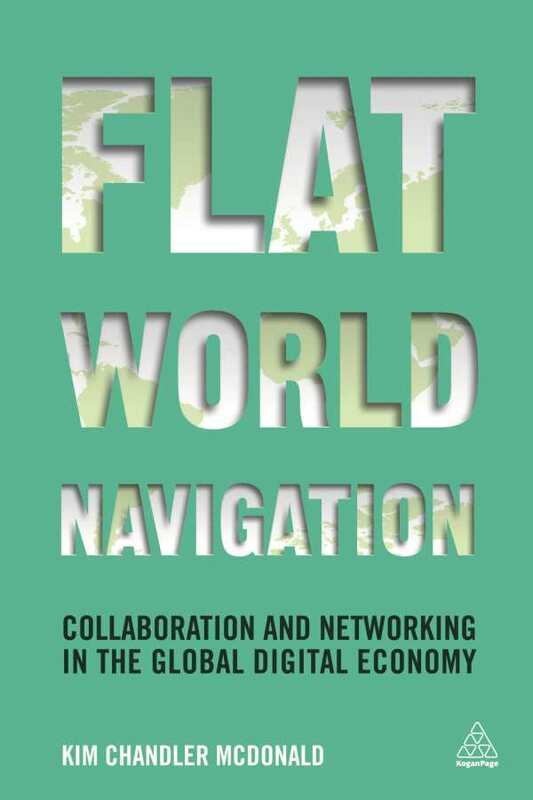 It’s a point that business strategist and digital innovator Kim Chandler McDonald makes more than once in her timely and expertly written new book, Flat World Navigation: Collaboration and Networking in the Global Digital Economy. Besides including her own expertise, McDonald incorporates factoids relevant to each topical section—from the demographics of millennials to broadband use in developing countries—as well as incisive stories and interviews with industry leaders. These elements transform the book from a personal, how-to narrative into a comprehensive, authoritative text. For instance, we hear from female executives of Disney and IBM on how to build authentic and meaningful relationships with coworkers, customers, and everyone in between. McDonald concisely summarizes key lessons from each contributor. She also includes an “actions with intent” breakout box at the end of each chapter, which readers can easily refer back to. McDonald effectively deconstructs preconceptions of what constitutes good business. She fills in the ensuing blanks with specific and evidence-based advice, using not only industry experts but examples of business models that have succeeded and failed in the new flat world. Flat World Navigation is an indispensable text for aspiring entrepreneurs. It’s also an engaging and insightful read for the layperson.